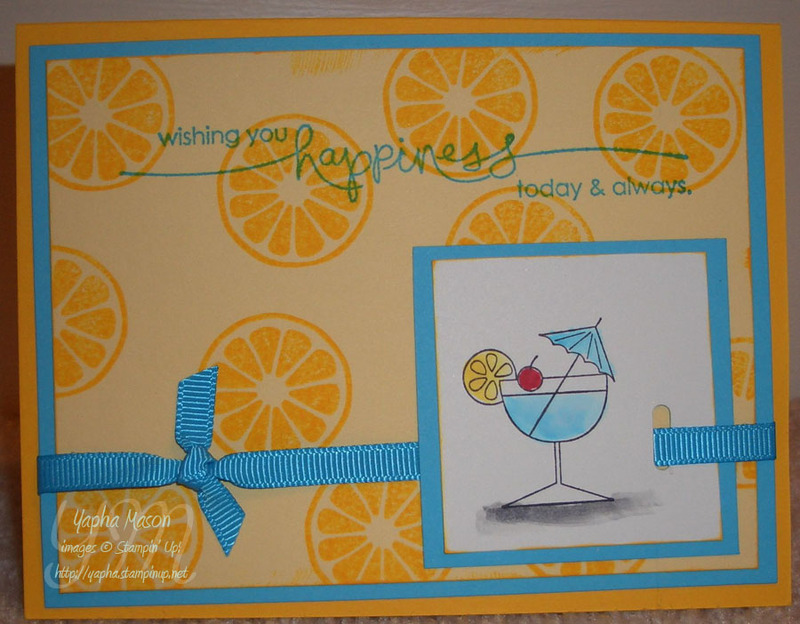 I had such a great day today, hanging out at the lake with good friends, that I just have to post a fabulous summer card. How yummy does this drink look? This was a really fun card to make and to send. It can be used for birthdays or many different occasions, just by changing the sentiment at the top. Thanks to Michele Force for the original design.